Congrats to Jennifer Vitucci (Jekyll & Hyde winner) and Rene McIntyre (Cirque Eloize winner) Earlier this December, my kids, my mom and I spent a whirlwind weekend of shopping, shows, and holiday traditions in NYC. At 4 and 7, my kids have already fallen in love with musical theater and really any kind of “show”. Partially because they’re awesome and smart, partially because they’ve been listening to show tunes in the car since utero, and partially because their equally awesome mama has had a subscription to the Kimmel Center’s Broadway series for the last 3 years. So in the spirit of season, I would like to share tickets that were generously provided by the Kimmel Center and Allied-THA for 2 upcoming Kimmel Center productions. I am giving away TWO 4-packs of tickets. Since this is a very last minute giveaway and I will travelling shortly, I will be selecting a winner Sunday night. Unfortunately tickets are not available for will-call, so you must be able to pick up the tickets from me. I am available to hand over the tickets Monday in the Gloucester County Area , Wednesday daytime near Mt. Laurel, NJ or Wednesday evening at the Forrest Theater in Philly. I can also mail overnight, at your expense. Leave a comment letting me know you’re interested and what show you’d like to attend. Please enter separate comments for each show and leave as many comments as you’d like. 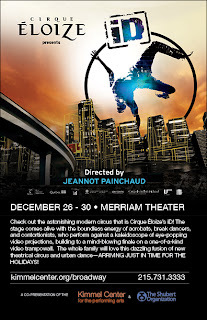 I'd be interested in the Cirque ELioze tix. I could meet you Wednesday Evening. 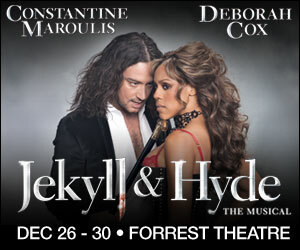 ummm...Jekyll and Hyde sounds awesome! pick me...pick me! 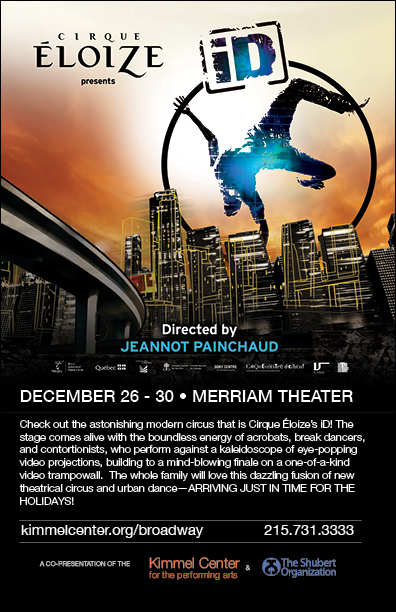 I'd love to win tickets for either show, but Cirque Eloize looks fantastic.